Coffee isn’t the only thing people take to go anymore. With handheld devices becoming ubiquitous, digital content is accessible anytime, anywhere in the world. That was the case for Starbucks. 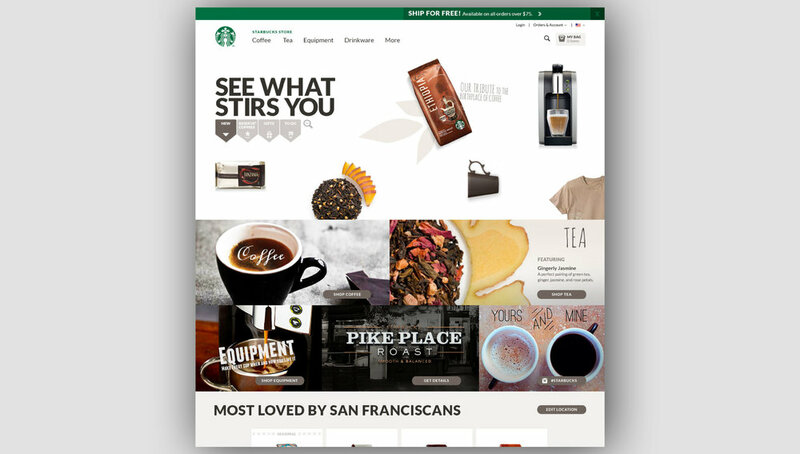 With 45% of Starbucks’ site visitors coming from mobile and tablet—over two million unique visitors per day—their homepage needed a lift, one that put the requirements of mobile first. It also needed to be redesigned to accommodate 35 global markets, adding another ingredient to this coffee-to-go assignment. Clearly, the new design needed to be responsive, modular, flexible, and scalable to meet all parameters. Simplify, simplify, simplify became the project mantra. Every graphic element was considered from the POV of mobile and global demands. The existing homepage was reduced to its purest state. Design elements were minimized. Short-form storytelling was key. 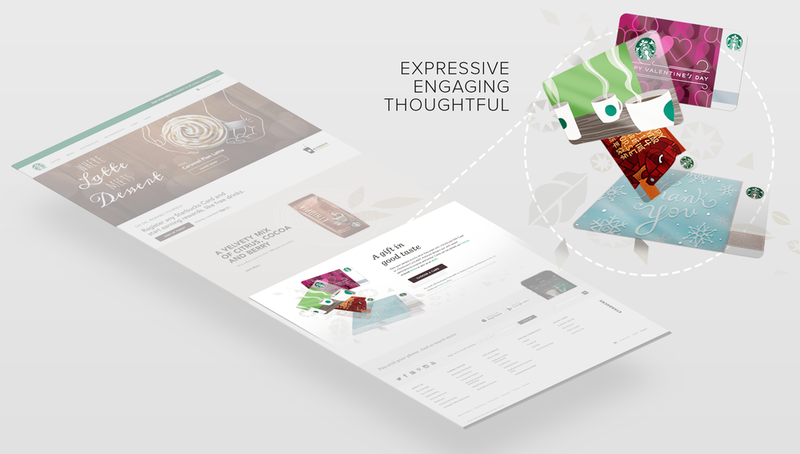 As was coming up with a look and feel that not only worked across platforms and around the globe but that captured Starbucks’ unique ethos, synching up with their newly-revised brand expressions elements.